Flooring is one of the largest element of any room. It just makes sense that the color of your floor is going to have a big influence on the feel of the room. You can make any room feel cozy or open by paying careful attention to the color of your floor choices. If you have a north room or a room with small windows, you might be looking to warm it up. Want a room to feel cozy? Turn to deep warm colors: rich browns, warm reddish tones and golden hues all tie a room together with a snug feel. Note: warm doesn't have to mean dark. You can use pale buttery yellow or soft brown with the same effect. Stay in the same color for the larger elements of the room - drapes and furniture to keep the cozy feel going. You can add complimentary accents with pillows or an area rug. Carpet - it doesn't get much cozier than carpet underfoot. 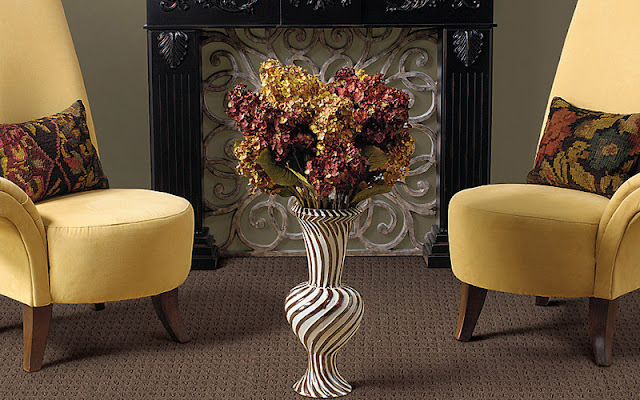 Plush carpet acts as an insulator and literally warms a room up. Pick a carpet in a warm color and you've instantly upgraded the comfortable feel of a room. 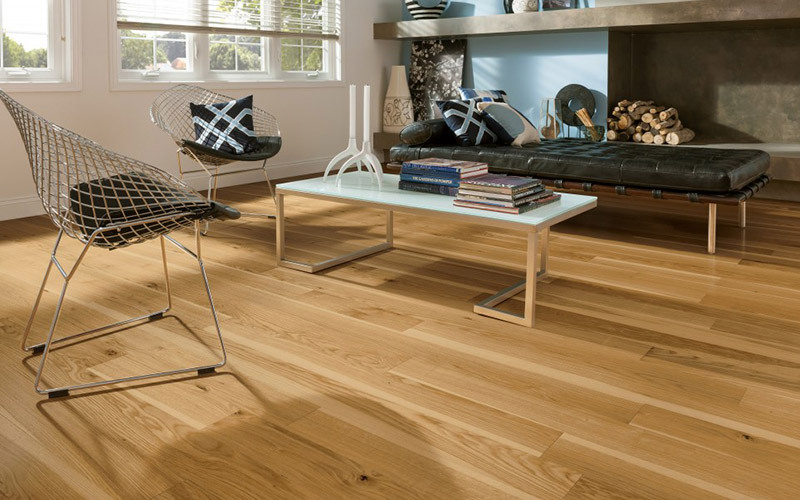 Wood floor - Wood is naturally warm with its golden and brown hues. The luster and finish of the floor can also make an impact on the feel of the room. If you want to create a warm, airy feel in a room you have far more choices than white. Shades of blue: there's something about bringing the feel of the sky inside that immediately opens a room. Consider using the same shade of blue on the walls to create a continuous look without boundaries. Pale neutrals: Greys and light taupe can open up a room simply by having less emphasis on the eye. Using these colors in your flooring makes the furniture in the room stand out - not the size of the room. Lighter shades of nature: pale yellows, light greens, sky blues... if you see a color that reminds you of the outdoors, it can make a room feel naturally open as well. Not an interior designer? Don't worry! Kermans is staffed with flooring experts ready to talk colors and options. We carry a wide range of flooring and are sure to find just the right fit for your decor, lifestyle and budget. Schedule an appointment with one of our design consultants and they'll have floor samples that meet your needs ready for you to review when you arrive.